Sri Lankan made products will have an access to over a 3 billion population by August 2017, Central Bank Governor Dr. Indrajit Coomaraswamy said. 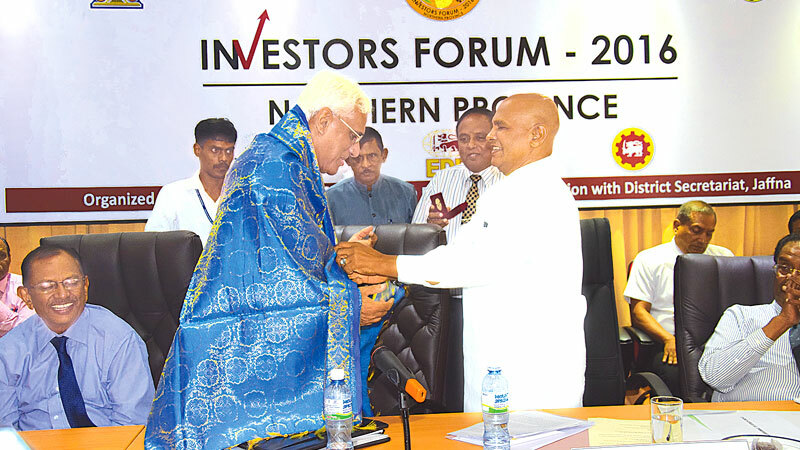 Speaking at the inaugural Northern Investment Forum here yesterday he said this will be after implementing the Indo-Lanka Economic and Technology Co-operation Agreement (EtcA) and the signing of the proposed Free Trade Agreements with Singapore and China later this year. Sri Lanka made products will also have access to India through the current FTA. The Governor said that in addition Sri Lanka will once again receive the GSP Plus concession which was suspended during the previous government exposing Sri Lankan made products to the European Union populations as well. The Governor said Sri Lanka’s unique geographical advantage of being located 20 miles away from the world’s fastest growing economy and also being located in the China’s silk route will add value to investing in Sri Lanka. Dr.Coomaraswamy said that today there is political stability and also peace which makes Sri Lanka the best place to invest after five decades. He pointed out that that while the Sri Lanka national growth was around 7% the Northern Economy maintained a 12% growth signaling its potential. This is despite over 400 SME sector companies shutting down due to the conflict. “These companies want to start up again in a big way but they don’t have a suitable bankable proposal to get credit. The central Bank is working with the people to get away them from this gray area. He said that The Northern Province is very rich with natural resources, educated people and also a lot of abandoned industries that could be revived. He said that after ending the war Sri Lanka invested too much on public infrastructure that is not bringing them returns for the credit that was obtained to put them in place. He also said that there are over 6,000 war widows and several thousands of ex LTTE combatants who have been reformed and they have to be found ‘good’ employment to give them self-respect. He said that opportunities exist in tourism, ICT, fisheries, agriculture, solar and wind power generation and also in the real estate sector.